We, the undersigned NGOs, calls for the charge against social and art activist Faisal Mustafa, who was the distributor of Canadian author Irshad Manji’s banned book, to be dropped. The case has a significant consequence on the rule of law and constitutional order in Malaysia as Faisal was charged for exercising his right to silence during interrogation. The Managing Director of book distributor Merpati Jingga, was charged under Section 215 of Enakmen Tatacara Jenayah Syariah (Negeri Selangor) 2003 for telling the Jabatan Agama Islam Selangor (JAIS) officials that he would answer their questions in court. 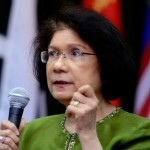 JAIS was then carrying out investigation on Merpati Jingga in connection with the Malay translation of Irshad Manji’s banned title, “Allah, Liberty & Love” (Allah, Kebebasan dan Cinta). JAIS’s decision to charge Faisal for his right to silence during interrogation, which is part of his constitutionally enshrined right to trial, is deeply disturbing and extremely alarming. Derived from English common law, the right to silence is a key measure to protecting citizens from arbitrary actions of the government, especially persecution of political and religious dissidents. By prosecuting Faisal, JAIS’ action has raised the question if the body has bent to demolish the right to silence and subvert Malaysia’s constitutional order. JAIS must take an unequivocal stand on this matter. It must affirm the citizens’ right not to self-incriminate or be compelled to be a witness against themselves. Should the unreasonable charge against Faisal be allowed to proceed on 31st January 2013 as scheduled, the JAIS will be acting against not only the right to silence, but also the common law system and the Federal Constitution it is tasked to uphold, not undermine.